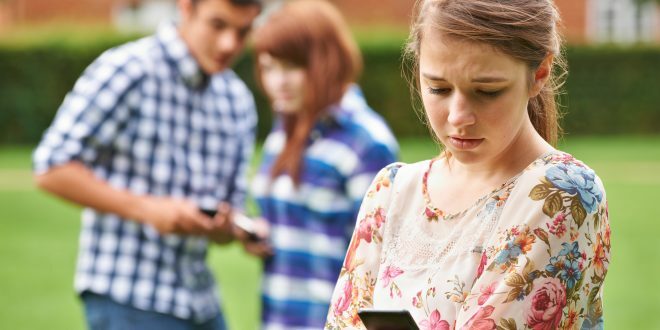 Australia’s Office of of the e-Safety Commissioner has the task of tackling cyberbullying. It has successfully pursued 800 complaints it received from young victims of cyberbullying. The office’s research shows that 1 in 4 young people were contacted online by strangers or someone they didn’t know, while 1 in 5 were socially excluded online. Similarly, repeated unwanted contact was the most common negative online experience reported by 16 percent of adults. “Negative online experiences don’t just affect young people, therefore it’s essential that we instill the skills and strategies for dealing with difficult online experiences from a young age. Online safety is a life-long journey—not a destination,” says Julie Inman Grant, eSafety Commissioner. Reassuringly, 66% of young people were able to reflect on their experience in a positive way—40% became more aware of online risks, while 33% became more aware of who their real friends were, and 23% learnt to use the internet in a more balanced way. “I’m encouraged by the overwhelming number of young people who continue to learn from their negative online encounters. This is an important part of building resilience, critical reasoning and empathy skills, which should extend into adulthood” says Inman Grant. Unfortunately, almost half of young Australians did not seek help from their parents about a negative online experience, and only 12% reported the encounter to a social media platforms. “Talking to family or friends is an important part of dealing with online issues, as is using the formal reporting tools available through social media sites and apps to help get harmful material removed,” says Inman Grant. Young people can also report cyberbullying material to the eSafety Office if the content has not been removed from a social media site. “Prevention, followed by early intervention through reporting are the most effective measures to addressing negative online experiences like cyberbullying,” adds Inman Grant. Next There’s nothing creative about the NAPLAN writing test. So what’s an alternative?